The Certified Employee Training Program (CETP) is a training program developed by the Propane Education & Research Council (PERC) that was designed to ensure that personnel in the propane industry have the necessary knowledge and skills to perform their job duties safely and effectively. This training is critical for propane marketers to meet the requirements of NFPA 58 Liquefied Petroleum Gas Code. P3 Propane Safety offers all levels of CETP training required for propane employees. Initial and subsequent training will be documented, and refresher courses provided at least every three years. 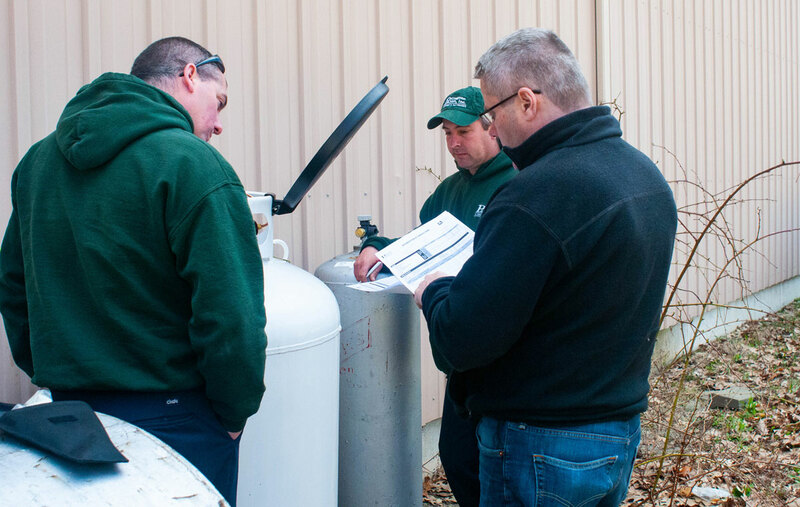 Contact P3 Propane Safety to learn more about CETP requirements and book your company's next training session. Instead of shuttling your employees to an off-site location for a general training session, our Industrial Training Service (ITS) Authorized Evaluators and Trainers can conduct CETP classes right at your company location. Our safety experts will provide task-specific, up-to-date training that meets Federal and State regulations. Third-party skills assessment evaluations can also be provided for completion of the CETP program. P3 will keep records of all completed training, so that when it is time for a renewal you will be prepared.